Beat This Caption Contest 6 Winner – Caption Contest Funny Clever Witty Enter Today! Surprise! Your Mail-Order Bride is here! 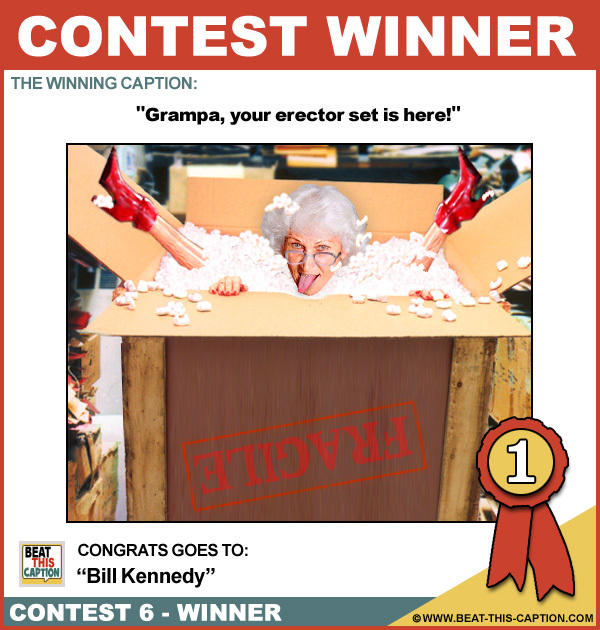 Grampa, your erector set is here! We’re replacing the stuffed turkey this Thanksgiving! It all tastes the same in the dark! Walmart’s stripper in a box!